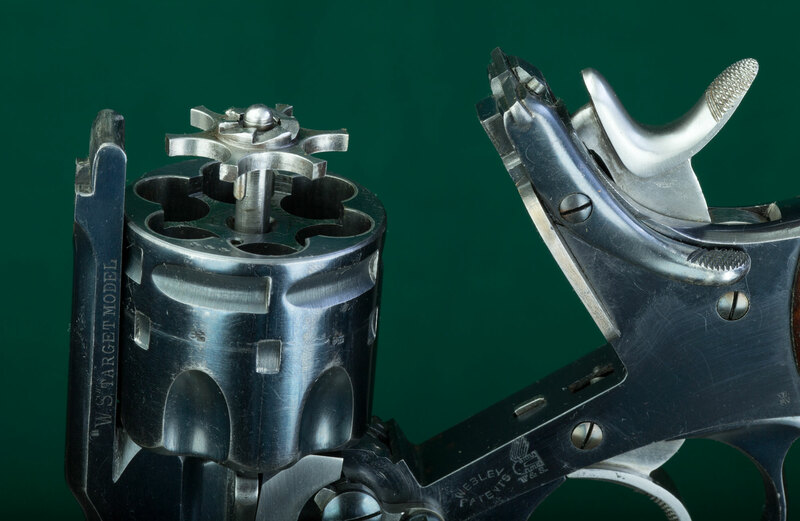 Ejectors - Fittings inset into the breech end of a pair of barrels of a break-open gun, operated by a spring mechanism, that kick out fired shells, while only raising unfired shells enough to be removed by hand. Recognizable at a glance on the breech end of a double gun because the fitting is split in two---one ejector for each barrel. 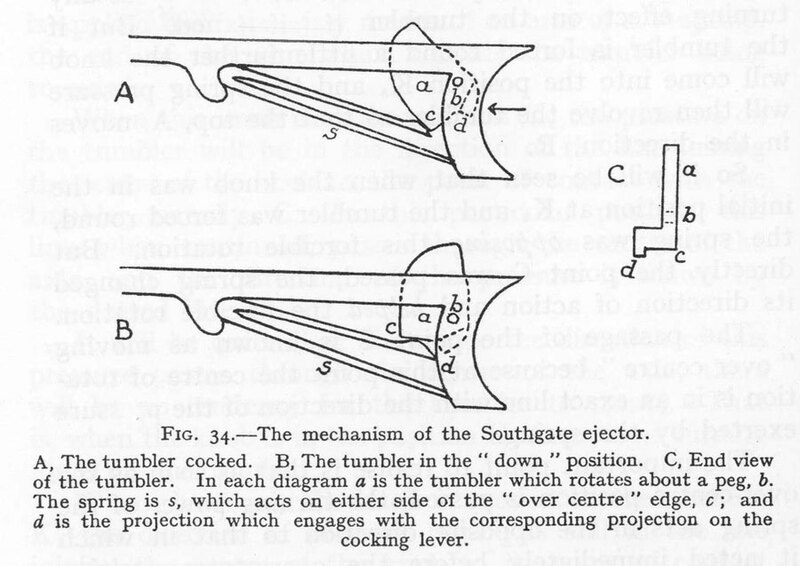 Extractors - A fitting inset into the breech end of a pair of barrels of a break-open gun. 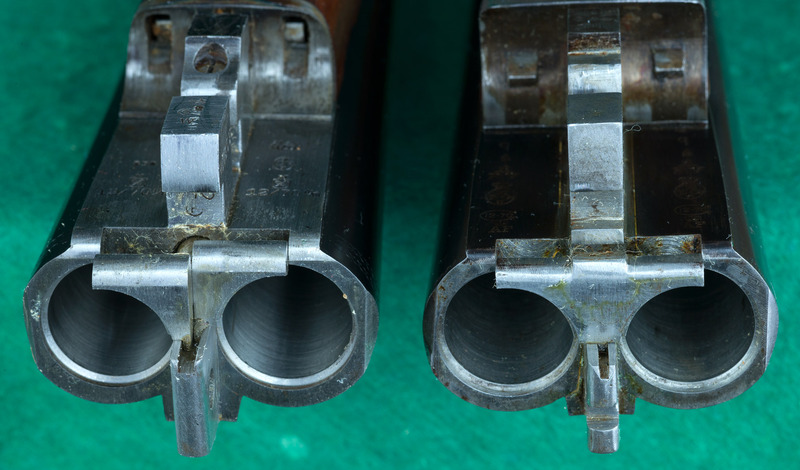 When the gun is opened the extractor lifts the cartridges (whether fired or not) so they may be removed by hand. 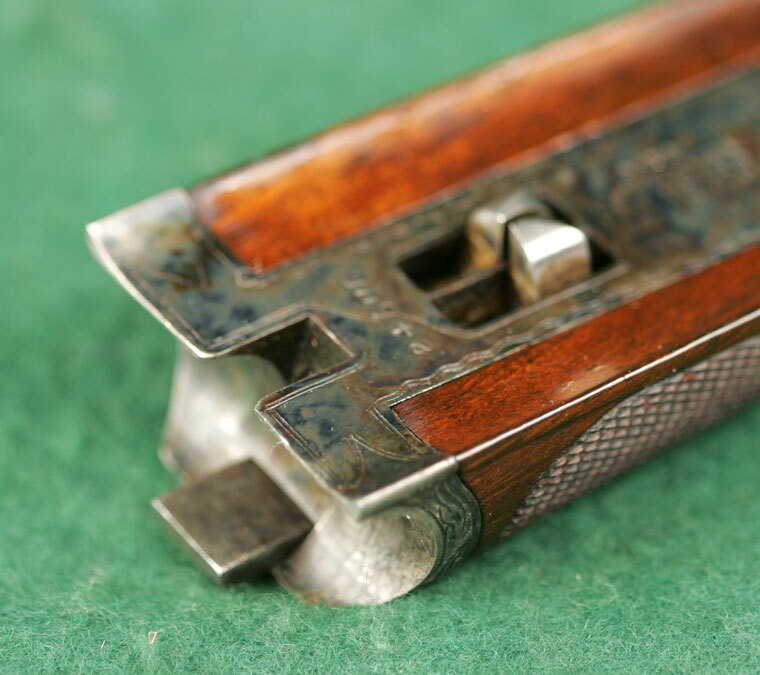 Recognizable at a glance on the breech end of a double gun because the fitting is solid---one extractor taking care of both barrels together. Sometimes called Lifters. 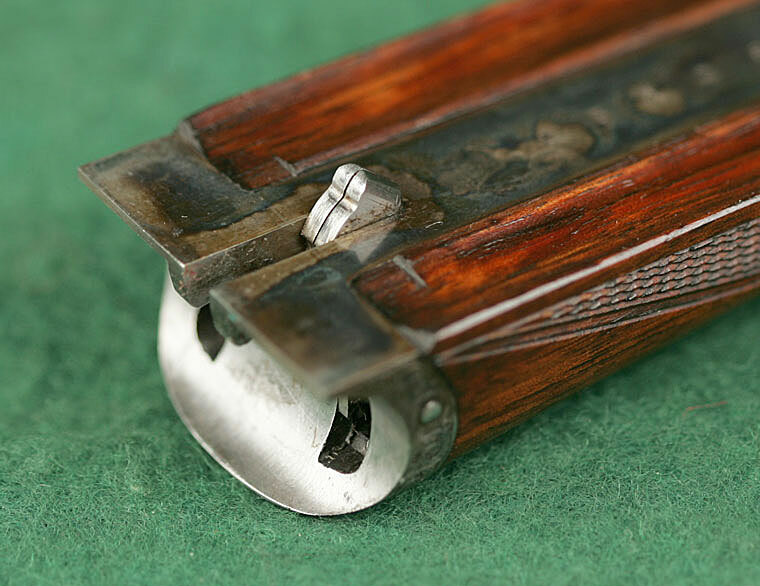 The ejector mechanism itself is normally fitted inside the forend. Two common forms are the Southgate (or Holland & Holland system) and the Baker. When all else fails, one can always resort to a manual case extractor.